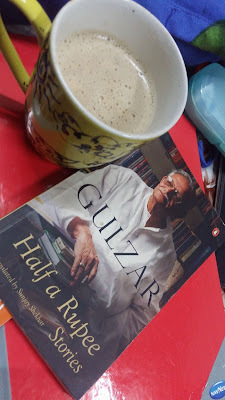 Good Afternoon dear Bookworms...when you read something which is a brilliant piece of work and makes you feel so good, positive. You are in the end inspired. Keeping this in mind we decided to bring to you works of author's, those stories which touches you. 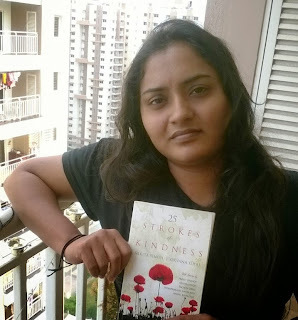 One such writer and author is Prity.S who has been the contributing author of 25 strokes of kindness anthology recently published by Grapevine. Prity Subramanyam is a loving wife to a loving husband, Director of Autonetic Software Technologies Pvt Ltd and a writer. She loves to read, write and eat. 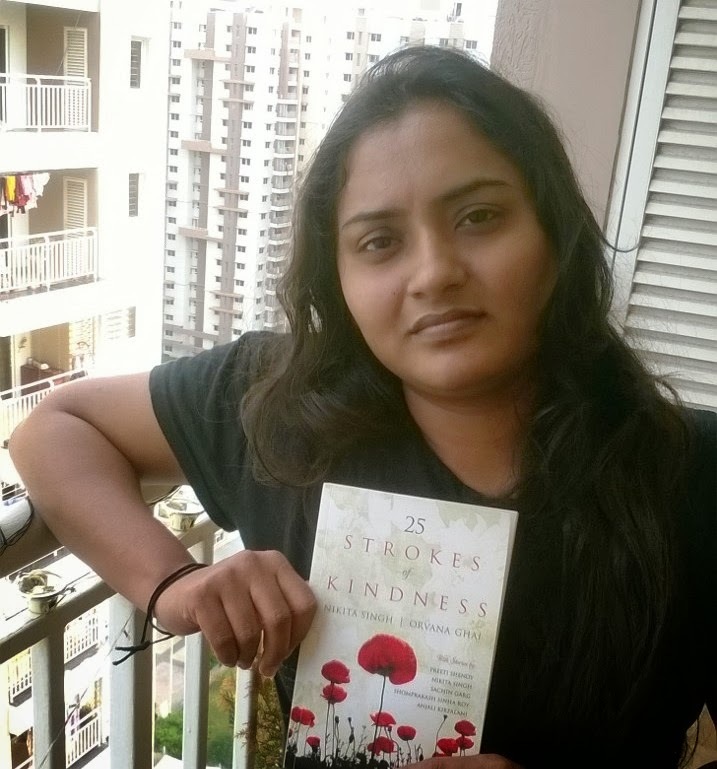 She finds solace in knitting epic tales and reading Indian Mythology. 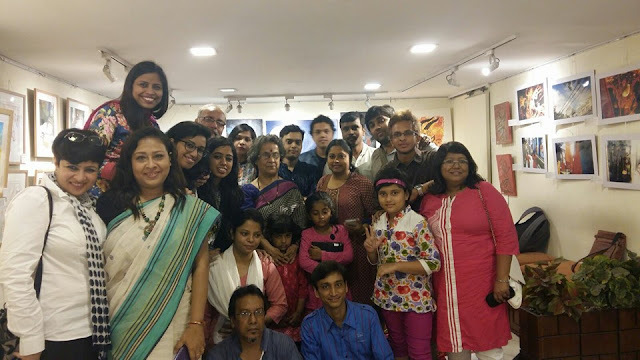 She aims to write till her heart’s content and give her readers something unique with every piece of her work. a talented Writer. We welcome you to Being Bookworms family. Here is a short story by her not released before exclusively for you all. perfect scene every dawn and dusk. Is it masterpiece or a big faux pas? than a mass of hard land filled with holes and ugly rocks? Was moon a slice of array of blunders too? things in this world seems to have come out of sheer accident, if not, how anyone could explain me. no other than a mistake indeed. had any close friends, no social life whatsoever, and no girlfriends in my entire life of thirty eight. person in the world who shows some affection towards me, other than my mother. Cyra. Cyra, what can I say about her, she was no mistake. She had the qualities of a perfectionist. hurt a fly even by chance. That’s Cyra. The love of my life. Sorry, Cyra my life. day she entered my life. It was as if I never existed. My life started the day I met her. her nose. That moment was the turning point of my life. Actually, before then, I never noticed girls. Besides, eight is not an age to fall in love. Conversely, that was the moment I fell in love with her. belonged to Cyra. I have a secret room full of Cyra’s stuff including that shirt, unwashed of course. especially after buying gifts for her adorable little kids. I don’t pity myself, but I do feel sorry, I could have died in peace, had I ever told her, that I love her. lucky suits, actually my only lucky suit, because I don’t give others an opportunity to perform. was not, nothing could ever be. the best software companies in the world. An NRI, tall, dark, handsome. A perfect marriage material. be hurt if they did. She never liked it when somebody laughed at me. She always stood up for me. much to someone. She deserved it. with me. But that’d be fine. Living a life like this was like choking in my own breath. and waited patiently till someone answered. “Are you okay?” I asked her slowly. up. They will have to. They had kids. And who could not love Cyra. I’ll talk to Amit. I’ll make it work. stairs. It was something serious. It looked bad. from her nose. She was like a reflection of me. It was as if I could see into her. I moved towards her and before I could say something, she broke into my arms, bursting into tears. know anything else. It loved her to death and her touch made it either run fast or stop altogether. Right now, it was confused. I was confused. I didn't know what was happening to me or my heart. Whatever it was, I had to get a grip and speak up. Find out what was happening with her. away. Her head still hung low and she was sobbing. “What happened?” I asked again, hoping she’d say something that didn't involve Amit being dead. their father. I would have swum the seas to be with her. She had lost everything. And here I was thinking – did I just win everything? looks, I know the time is now. touch it and they went up to their rooms. She was a mess. She practically ate nothing. strongly. Hunger. No matter what I did, I couldn't tame my hunger. I had to eat. felt something it had never seen before. Happiness. Was it possible? Could I be destined to some or even any happiness? body tightly and I pulled her even closer. my heart has a mind to think. Maybe my heart and mind are not connected. She stormed out. Great. I wanted to tell her and I did. Atta boy. I was the least impressive person I had ever seen. I didn't know what to do. I was well humiliated. So I drove back. my tears and sucked my nose. I think I caught some cold. The last thing I needed. thunder. Like some background score of a chick flick. Perfect. herself and me. I was a curse on the mankind and on Cyra. for me. I had to make up. Killing myself was an answer but not a good one. Cyra would be all alone. The other alternative was to find her a good companion and then disappear from her life forever. grabbed my car keys and opened the front door. dipped low, water dripping from her long open hair, I didn't know if she was crying. “Of course,” I replied and gave her way to come in. around and looked at her. She was sobbing, still stealing her glance away from mine. I was shocked. What was she talking about? “I am sorry.” She broke down. It was tormenting to see her like this. and my heart flapped its wings. Maybe wagged its tail. I don’t know, but I did feel happy. P.S Expect more exciting interviews and updates in the future.